Update: As several commenters at the mirror post at Balloon Juice have pointed out (with the usual BJ reticence) this is a red herring, the more so for the conflation of benefits with salary to come up with a compensation figure. A ruling elite economically and emotionally disconnected from the reality that most Americans recognize. Which is one of the reasons that both policy and the coverage of and discourse coming out of the center of government is so unbelievably bad. Update: As noted, several commenters at Balloon Juice pointed out that the reference to highly paid civil servants is a red herring at best, and a slander at worst. And I agree with that, or at least with the notion that such an implication could be drawn from the above. What I meant to do by including that last block quote was to include the survey results, but not to suggest that the GS14 working at the Dept. of Commerce is screwing up policy or its presentation to the American people. The real point I think this very coarse bit of data allows us to draw is that it has become exceptionally lucrative to buy and sell influence…to the point that it becomes very hard to see how to construct a disinterested policy apparatus. When your exceptionally good living depends on not knowing stuff, or knowing things that ain’t so…well, we’re living with how that ends. And when the decision makers — Congress, and senior staffers there, and top folks at the agencies, top “journos” (scare quotes to indicate the distance such folks have traveled from actual journalism) — all know exactly how it’s possible to live in this policy-making/policy-influencing nexus, you get a Village with both experience and skin in the game that disconnects them from everyone and everywhere else. 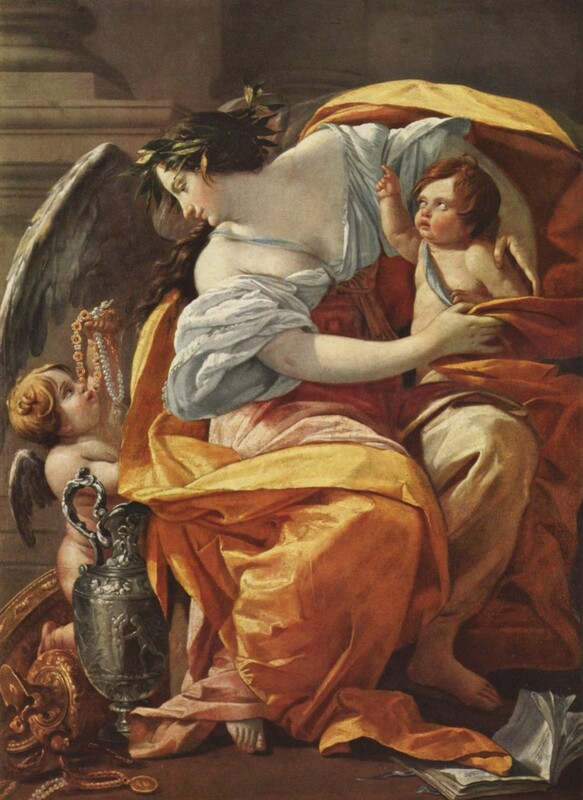 Image: Simon Vouet, Wealth, between 1635 and 1640. Tags: Political disconnect, The Rich Are Different, Washington D.C.